You can now nominate for the MAR Advocacy Award! 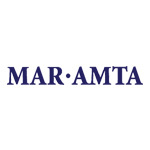 MAR-AMTA Membership has just announced three new awards! MAR-AMTA National Conference Award, MAR-AMTA National Conference Award and the Student Member Regional Conference Award– View them here! Check them out soon– Deadlines are quickly approaching!